WASHINGTON — The Justice Department announced on Monday that they awarded a $1 million grant to Florida law enforcement to "pay salary and overtime expenses for first responders "who responded to Parkland mass shooting. "In responding to the tragedy, the State of Florida, the City of Parkland, and Broward County incurred several million dollars in costs including securing crime scenes and operating command centers and state and local officials continue to incur expenses," the Justice Department wrote in a press release. "The magnitude and urgency of the event resulted in a coordinated response of local, state and federal law enforcement agencies and first responder personnel from more than 18 agencies. This award will defray some of those costs." 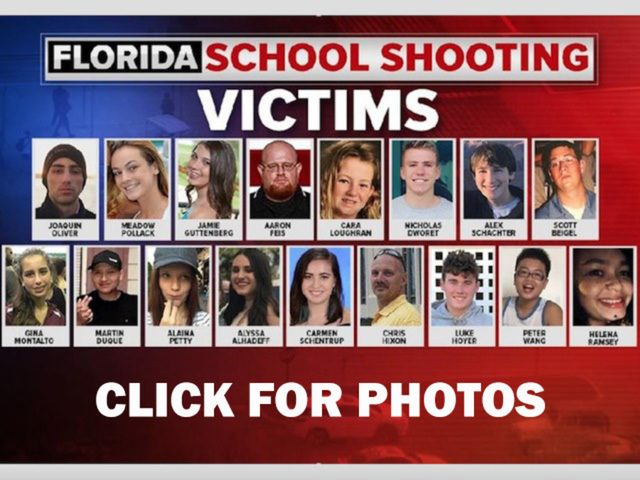 The deadly shooting at Marjory Stoneman Douglas High School on February 14, 2018, took the lives of 17 people, including 15 students and two faculty members. "The school shooting in Parkland shocked and horrified the nation, but the community and law enforcement at all levels have shown resilience and determination," Attorney General Sessions said. "Today we offer $1 million to support the police who have been working overtime in the aftermath of this tragedy. They can be sure about this: we have their backs."